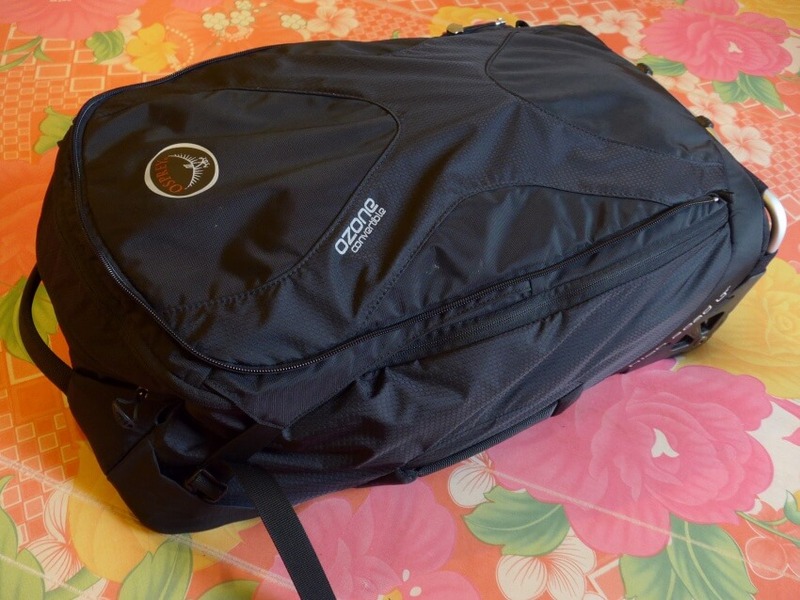 For a long time prior to purchasing the Osprey Ozone Convertible 50L/22″ carry-on bag I followed the one bag way of travel and avoided wheeled luggage because of the extra bulk and weight. Unless you are 20-something or in peak physical shape, that method tends to work better in theory than in practice, especially if you travel with a lot of electronics. It worked well for me on short trips but after some bad experiences hauling my bag through long security lines and to distant airport terminals (and getting older and lazier), I decided I finally needed a carry-on with wheels. 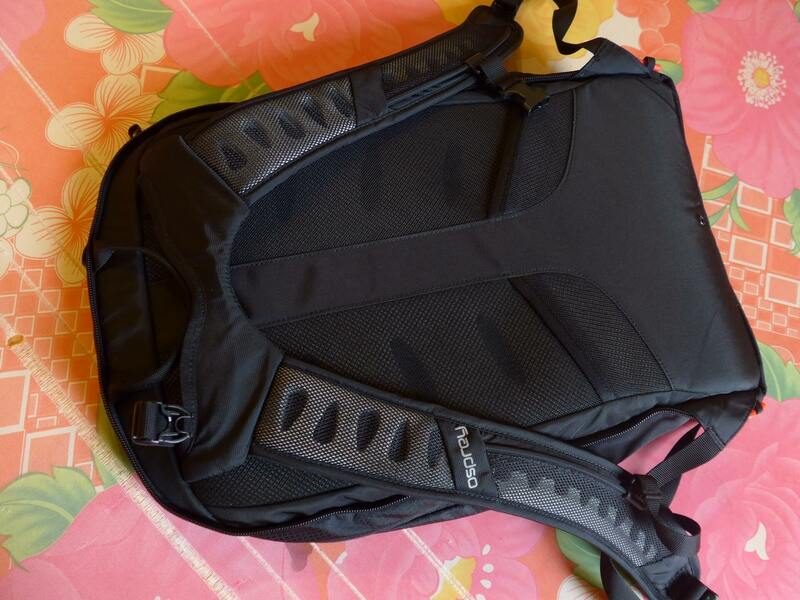 I still wanted the option to use backpack straps so I searched for a convertible model and chose the Osprey Ozone for its surprisingly low weight and detachable daypack. The Ozone measures 22″ X 14″ X 9″ and weighs just 6.33 pounds. 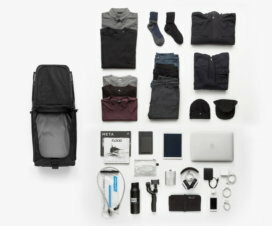 It is likely the lightest convertible carry-on bag available, and it looks small for a carry-on. You won’t have any problems with the airline thinking it’s too big to carry on. 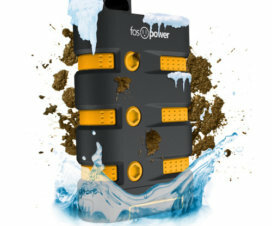 The main material is 210D Nylon which is very light and feels sturdy enough. The wheel structure seems rugged and it could probably handle some heavy impacts if the bag is tossed. 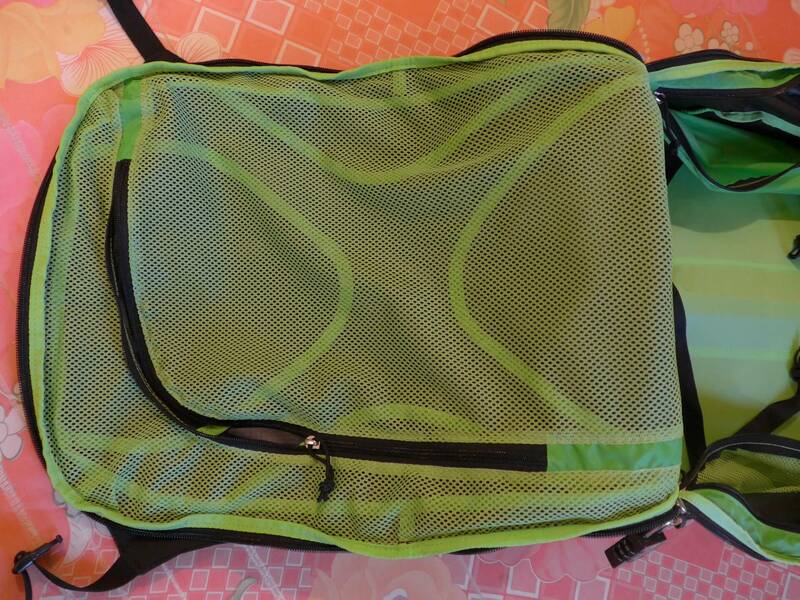 The bag has two carrying handles, one on the top and one on the side. The extendable pull handle has a single bar, which is unusual for a wheeled bag but it doesn’t pose any problems. I found it easy to both pull and push the bag on its wheels. 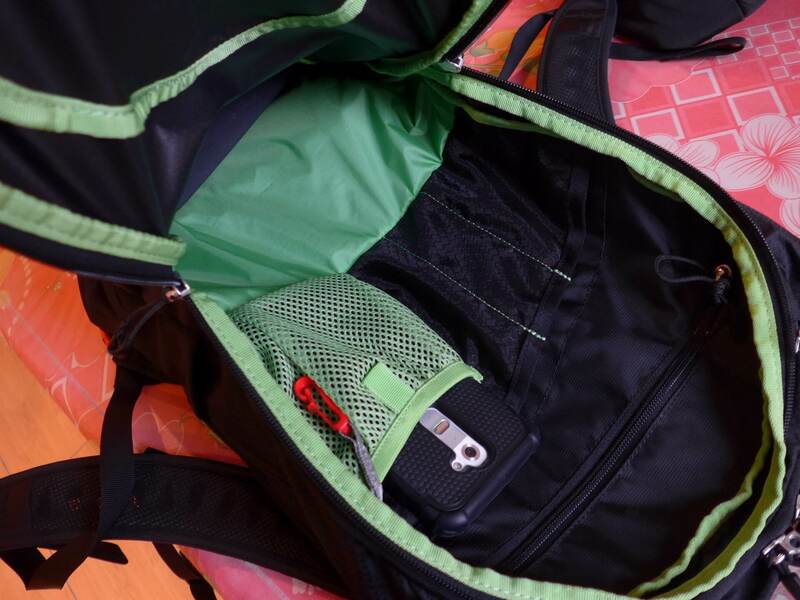 The interior of the main bag has two compression straps, two side pockets and a large mesh zippered panel on the upper side. 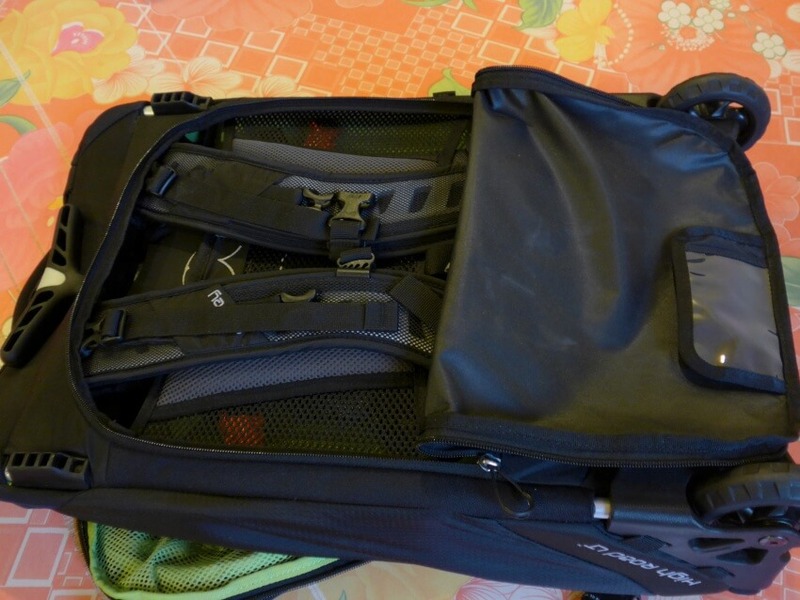 The bag does not have a completely flat interior surface because of the angles created by the extendable handle, but I did not find this to be a problem as I prefer to roll my clothes for packing. The main bag has one exterior pocket which is a deep pouch near the top handle. 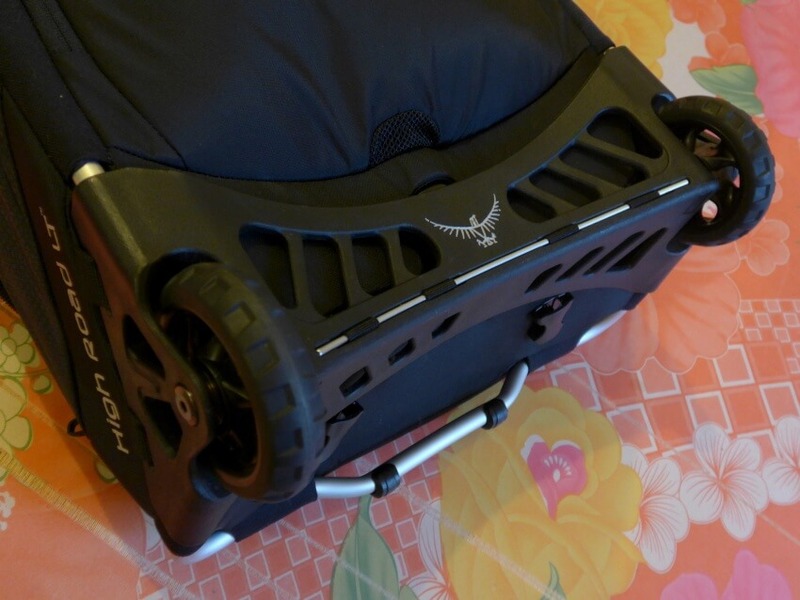 The wheel system and base is made of lightweight aluminum and durable ABS. 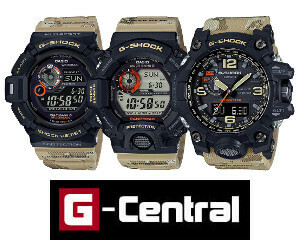 It looks rugged enough, has large wheels with sealed bearings, and doesn’t add much weight to the bag. 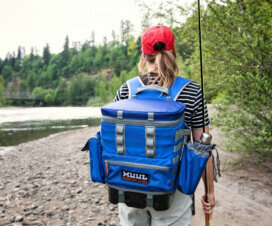 The backpack suspension system stays out of the way in a zippered compartment when not in use. There is also an identification card holder on the inside panel. 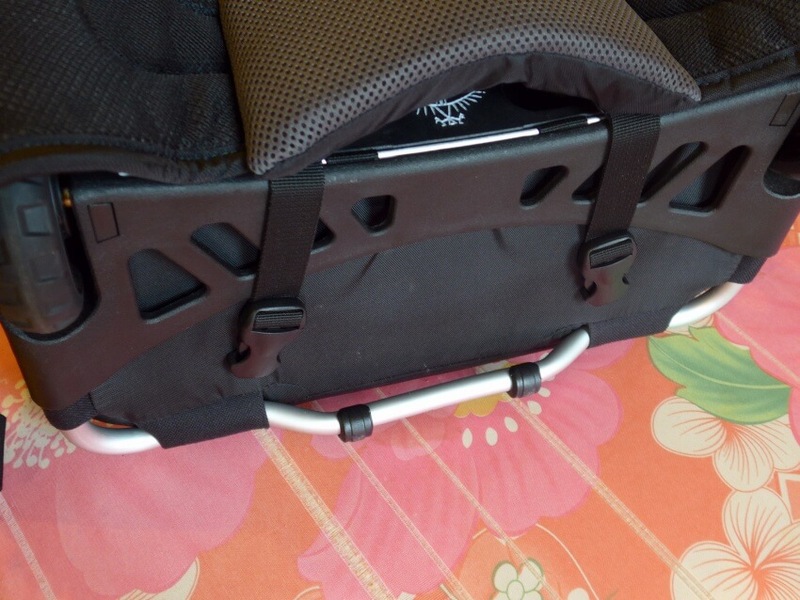 The straps can be completely removed, and this compartment can be used for more storage. There is also a drainage hole at the bottom of this compartment. I packed the following in the main bag for an extended trip to Southeast Asia: 2 pairs of pants (nylon and polyester), 2 pairs of nylon shorts, 5 polyester t-shirts, 1 polo shirt, 2 long-sleeve nylon shirts, 1 long-sleeve cotton shirt, 7 pairs of underwear, 3 pairs of socks, toiletries including electric toothbrush and shaver, electronics pouch with chargers and cables, 1 pair of Amuri Venture Xero Shoes. The bag stands upright when packed, and there is still room to spare. The photo at the very top also shows the bag packed with these items. The bag has enough room to pack for colder climates too. Unlike some other soft carry-on bags, even when stuffed to the limit the Ozone will not look too large for a carry-on. 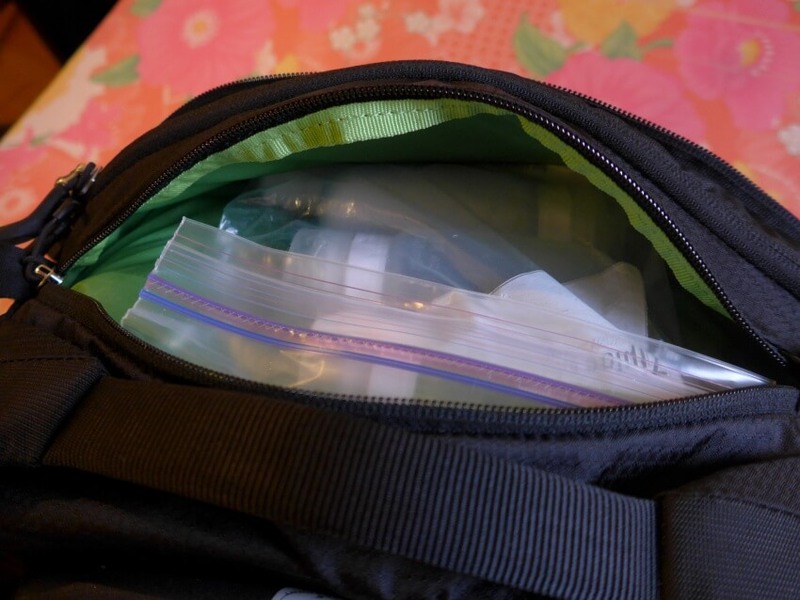 After packing the main bag’s exterior pocket still had room for a 3-1-1 liquids bag with three 3-ounce containers. 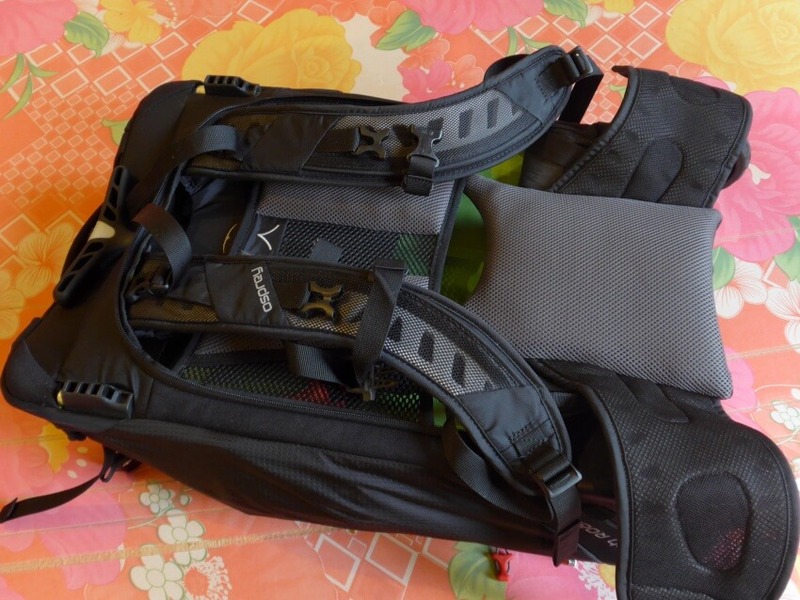 The backpack straps are easy to use. Unzip the compartment, pull the waist strap out, and secure the two straps with the snap-in clips on the bottom. This can be done and undone in seconds. The bag works well as a backpack. 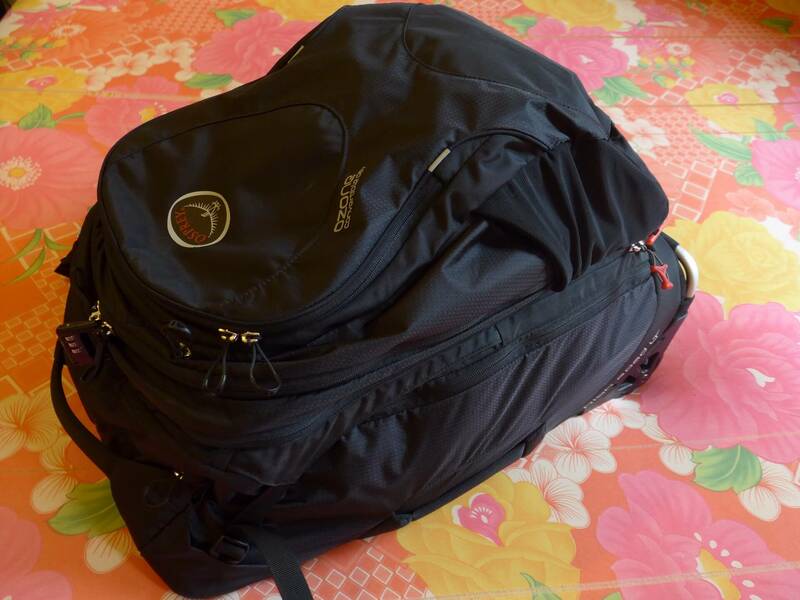 It has good support and I found it a lot more comfortable than other convertible bags that do not have proper support. 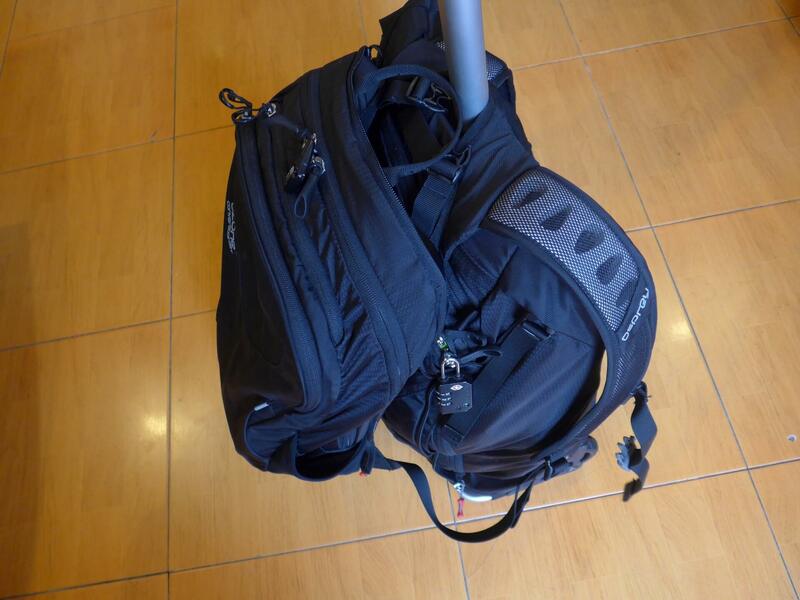 The daypack is a fully functional backpack that can hold a laptop, tablet, gadgets, and clothes. The daypack’s back panel and straps are reinforced with foam for comfort and protection. I packed the following in the daypack: Dell XPS 15 laptop, 10.1″ tablet, 5.2″ phone, earbuds, GlocalMe G1S Global Hotspot, JBL Charge 2+ speaker, digital camera, sunglasses with case. The Dell XPS 15 has a form factor that is smaller than a 15.6″ laptop but a little larger than a 14″ laptop. I did not have a chance to put a 15.6″ laptop in the daypack, but based on the extra space seen with the XPS 15, a 15.6″ laptop should fit in it. 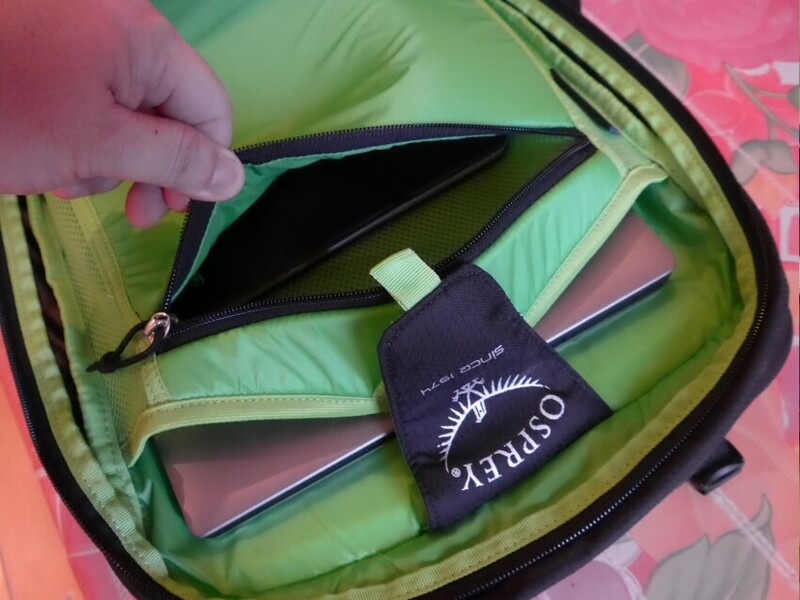 The laptop and tablet sections are padded for protection. They are part of the main compartment which can also hold clothes and other items. Overall the daypack has a good amount of volume and I’ve used it by itself for weekend side trips. The front compartment is large and has many sections including a zippered pouch near the top. 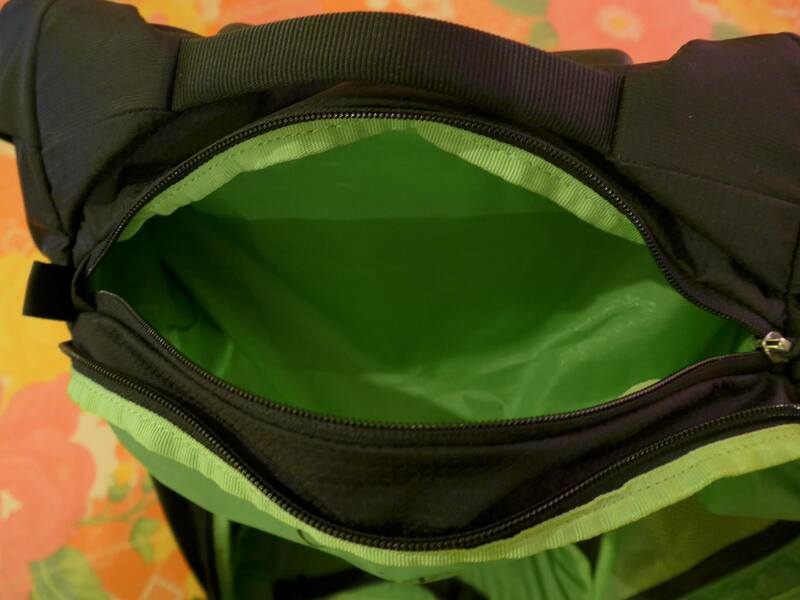 There is also a top exterior pocket between the front and main compartment that is good for holding sunglasses, electronics, or a 3-1-1 liquids bag. The daypack also has stretchable water bottle pockets on both sides of the exterior. 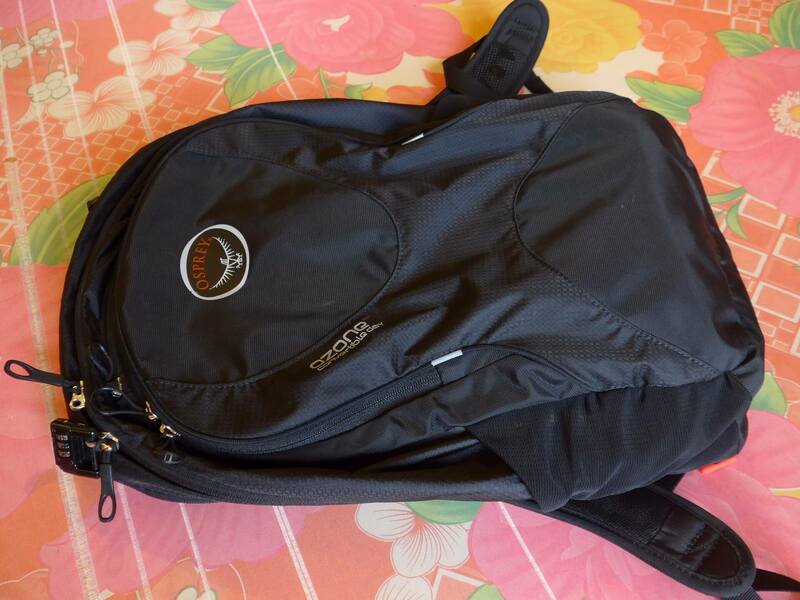 The daypack can be easily attached to the main bag with a single zipper. However when fully packed the whole thing can be rather large and unwieldy, and it won’t stand upright. The daypack can also be slid over the pull handle when using the wheels but again the bag will not stand upright on its own in this mode. I prefer to just wear the daypack. If using the main bag as a backpack, there are clips that allow you to attach the daypack and wear it on your front (chest side) so you can go completely hands-free. 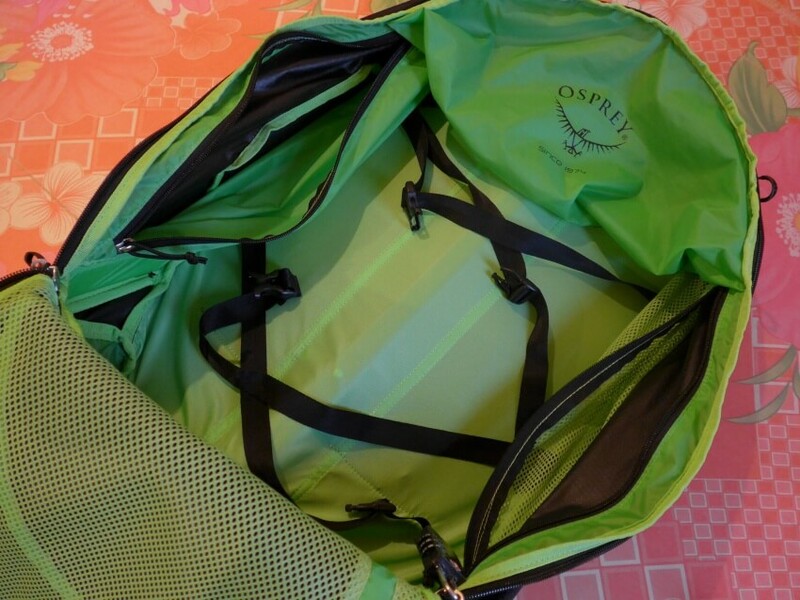 Conclusion: The Osprey Ozone Convertible 50L/22″ bag is an excellent choice for travelers looking for a lightweight convertible carry-on bag with wheels. The lightweight nylon material might not be as rugged as other bags on the market but it seems strong enough. I can’t imagine having any problems with it under normal use and Osprey offers a lifetime warranty for any damage. After years of using carry-on backpacks without wheels, switching to the Ozone Convertible was an easy decision that I don’t regret. Bag looks great. What is the volume breakdown between the two packs please? I’m guessing the total is 50 litres but how much does the main bag alone hold? Sorry I’m not sure about the exact volume of each bag. 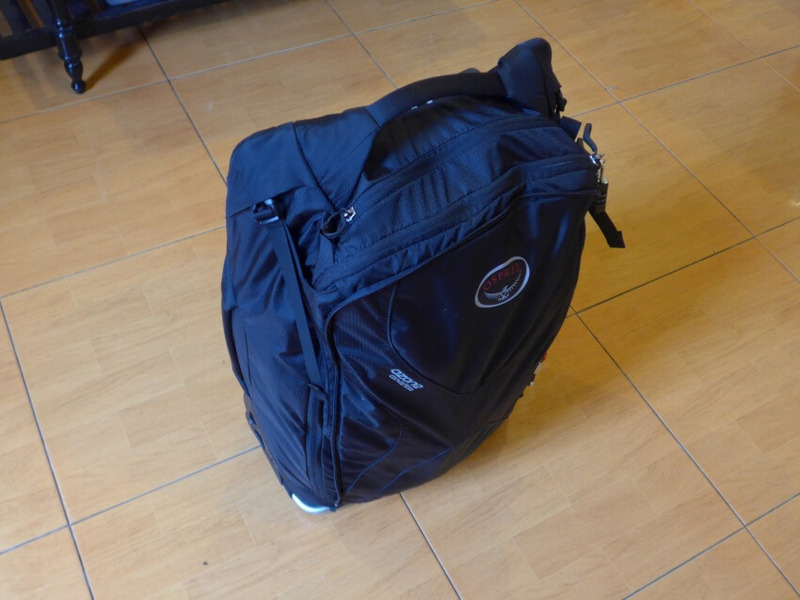 The main bag doesn’t hold as much as other carry-on bags because of the handle and wheel structure, but if you are a light packer and use the small backpack too then it shouldn’t be a problem. I believe it’s 15L for the day pack and 35L for the main bag. Yeah that sounds about right, thank you. Awesome review! 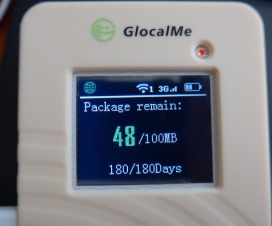 I wonder how much is the total weight (main pack + day pack) you are carrying when you travel.